How to Type Chinese on the Computer and Other Questions – Writer. Traveler. Tea Drinker. I’ve had a lot of repeated questions about China and while many are based on stereotypes (no, most people don’t eat dogs and Chinese animal activists are making sure that the small little villages that still do cease forever) some are actually good questions I thought I’d take a moment and answer. How do you type Chinese? The iphone and computers sold in China are the exact same ones sold in America. So how do you write Chinese with an English keyboard? There are a few ways. First you need to install the Chinese keyboard just like any language. Then you have two options. Then, just like English, it will offer predictive text. After Beijing it suggests “Beijing Time” (there are no time zones in China despite it being the same size as America. Everything runs on what’s called “Beijing Time”), Olympics, Beijing normal university. Since I rarely write Beijing these are the most commonly used words after Beijing decided by whatever algorithm. Then when you chose one, it will suggest more predictive text. 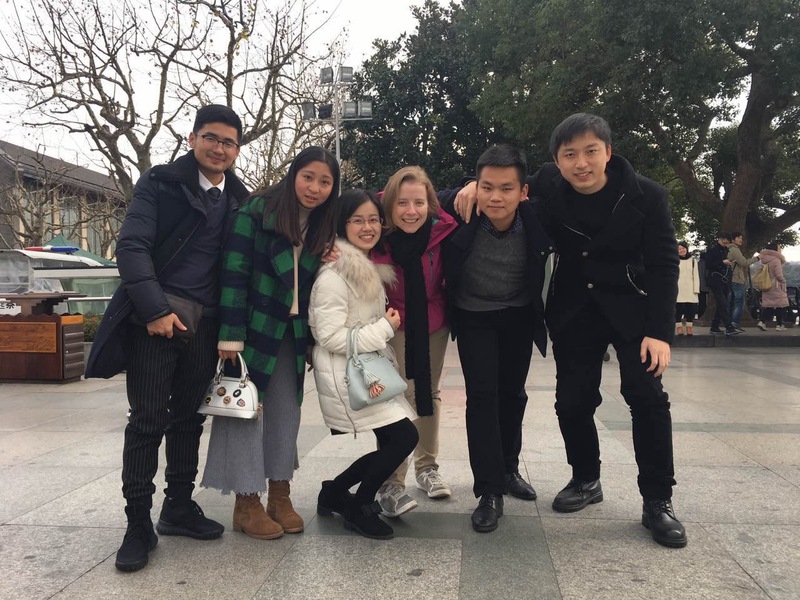 In this case, after I chose “Beijing normal University” it offered “publishing” (they are a big publisher) “Chinese department (the schools specialty) and so on. You can also abbreviate. For instance the Chinese for Beijing is made up of two characters: Bei Jing 北京. So you can just type “B” and “J” and the keyboard will guess what you mean. With just two letters to go on it guesses Beijing, Bu jian, Bi jiao, etc. Starting with the most common “BJ” words then going to less common. This is especially helpful for long words you don’t want to spell out. Like the world ice cream. The pinyin is Bingqiling which is long and I am lazy. But I can just type BQL and it will guess it correctly. It’s a huge time saver. Errr…not that I type ice cream a lot….just a random example not related to my life at all. And just like with English your phone gets to know you. For instance my Chinese name is Long Xiao Bing 龙小冰. It’s not common Chinese but I write it often and now my phone knows that when I type “LXB” I want my name. 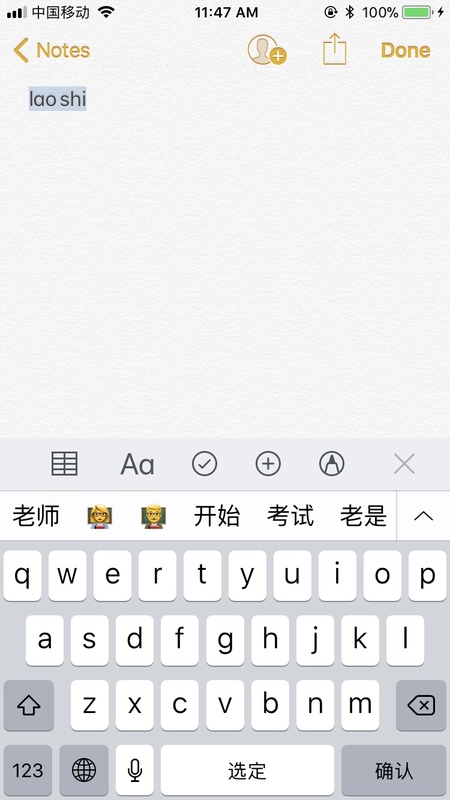 All of these characters come from the same pinyin “shi.” So you better know which one you want, or continue to write the sentence or word so the computer can make a better guess. It also allows for misspellings sometimes. Like when I type the pinyin for laoshi (which means teacher) it gives it the first choice but then also offers kaishi (which means start and is a common word) and kaoshi (which means test) All those words pinyins are a little differently but are so common it suggests them just the same in case you misspelled. I spelled the pinyin correctly, but it offers other common words with slightly different pinyin spelling just in case I made a mistake. If you want to go old school though, you can also write the character with your finger and the computer will guess what you mean and suggest the characters which you can choose. Of course this means you have to have good handwriting and remember how to write each character but a lot of older Chinese people do this. This is very helpful when you see a word but don’t know the meaning. You can hand write it into the dictionary. With pinyin you need to know how to say the word to write it, but with this method all you need is to see the word and can copy it. To me, and most young people, pinyin is the easiest way. Older people, like my coach, have trouble with pinyin. He didn’t study it when he was a kid and therefore he’s more comfortable writing the character with his finger. But kids these days are all about the pinyin, it’s quicker, and as a result they are losing their ability to write longhand. So that’s how you write in Chinese! Pretty easy eh? How do Chinese spell words? When speaking Chinese, because of so many homonyms, it is not clear what the speaker means, especially when saying proper names. Like, my Chinese name. Xiao Bing. 小冰 . When I speak it people ask me how to spell it but they aren’t asking me to say letters B-I-N-G. They are asking me which character it is. Everyone knows what I mean with “Xiao” (it means little and is very common in names) but with “Bing” there are many characters with that pronunciation that are commonly used as names so they can’t guess. So when they ask me to spell it they are asking me which character it is. So I have to say another word. Like, I always say “Ice cream’s ice.” 冰淇淋的冰 which they get immediately. Some words can take awhile to spell out, especially something like a medicine that might have 4 or 5 characters. “Mafulong. The ma in mama, the fu in caifu, the long in xinglong.” It can be kinda funny. But it’s a clever way to help people visualize a word that doesn’t have letters. So that’s two common questions I get with some pretty quick and easy answers. If you have a question about something you’ve kinda wondered about China and want to know shoot me an e-mail and I’ll answer if I can. Just don’t ask me about dog, a’ight? 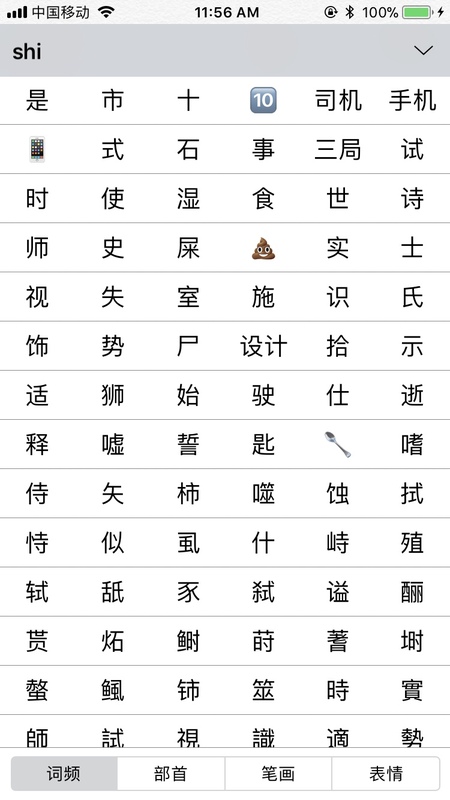 Is written Chinese basically a language composed entirely out of emojis? Or is this too reductive? Does the input with a hardware keyboard work similarly? In particular, do you need the mouse to select which word you want? I think you mean algorithm (computer code), not logarithm (math).